Heretics are not always right. When they are, it can sometimes prove mighty difficult to change the prevailing orthodoxy. I have been propounding my own particular heresy for many years, to little effect. It is simply stated. 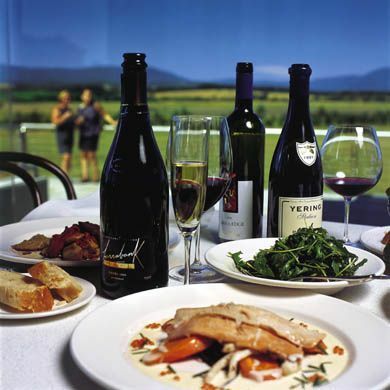 I believe that, as far as restaurants are concerned (home cooking is, of course, an entirely different matter), you are more likely to eat great Italian food in dining rooms outside Italy. I can hear already a wave of dissent sweeping across the known world. But I am sure it is true. Indeed, further proof has come my way recently. For I have just eaten a glorious meal at an Italian restaurant in… London. And, to make this excellent circumstance even better, the restaurant was located in what, after its £76 million renovation, is now one of the very best hotels in the capital – the InterContinental Park Lane. 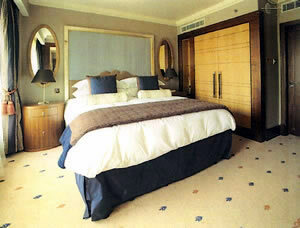 The hotel’s entrance is in Hamilton Place, a haven of quiet away from the rush of Piccadilly and Hyde Park Corner. The Royce purred to a halt in the sheltered driveway and the cheerful doorman was kind enough to pay her a few compliments, before he handed my cases to the porters. Then I was down the steps, into the spacious lobby. 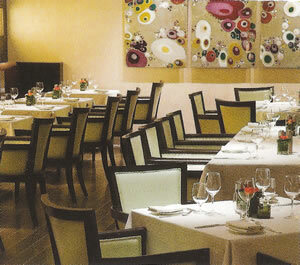 Ilana Feingold is the interior designer responsible for the new look of the InterContinental. She has chosen a style which is modern, but not aggressively so. The luxury is discreet and understated, with straight lines and sober colours. There is all the marble you could want in this building, but it takes care to murmur rather than to shout. There was certainly no shortage of staff. (There are nearly 450 rooms here, but throughout my stay I did not observe any queues at the Reception or Concierge desks.) Lots of friendly personages were keen to help me upon my arrival – and, indeed, throughout my stay. 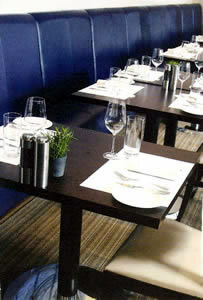 I noted their efficiency and good humour, and thought that they reflected well upon the General Manager, Roland Fasel. Within five minutes of walking through the entrance, I was at the door of room 510, on the 5th floor. 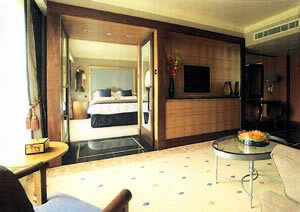 Rooms at the InterContinental can be had for as little as £270 a night (depending on the dates). This was a ‘luxury suite’ and was therefore from £2,350 a night. I was much taken with this spacious and comfortable apartment. (I reproduce two pictures of it, for your interest.) As soon as the metal heels of my brogues clicked on the sparkling black marble of the hallway floor, I knew that I would be happy in this space. Off this hall were doors to a loo and to a small kitchen. The latter had tea and coffee making facilities. This thoughtful provision was matched, in the care of clothes department, by an iron and an ironing board. I applaud the person who decided that these items should be available: he (or she) clearly has the guests’ wellbeing very much in mind. I judged the sitting room to be about 20 feet square, a size which hinted of grandeur but did not prohibit cosiness. Its dining table could seat six with ease. Above and around the sofa and two easy chairs were 6 table lamps and 12 spotlights. Brown and fawn dominated the colour scheme. The woodwork (of the doors, the panelled wall and the fitted drawers) drew my attention, because of its remarkably high standard of workmanship. Evelyn Waugh was among the writers represented in the small collection of novels left for my perusal. It certainly would have been easy to settle down to read, for the silence was golden. Five floors down, the London traffic was doing its worst, but in room 510 all was peace, perfect peace. The effect of the double glazing in the windows was near miraculous. Double doors led into my bedroom. Cleverly placed mirrors and a day bed upholstered in chocolate velvet imparted a touch of panache to these sleeping quarters. Silky sheets by Frette and a bed of magical softness ensured that I enjoyed here the sleep of the righteous. And my bathing was nearly as good. Twelve spotlights shone down upon the two wash basins, the bidet, the separate shower and the abundance of white, fluffy towels in the grey marble bathroom. The tub was deep and long and my soakings within it were full of pleasure, as the music of Elgar and Mozart drifted in from the Bose wireless at the bedside. With lodgings as good as these, the temptation was to remain within. But there was eating to be done, and I fancied – correctly – that it would be good. On the ground floor is the Cookbook Café (pictured), a cheerful room of bright light, blue banquettes, supportive armchairs and tables of dark wood. The folk here – like team leader Freddy, a Frenchman from Le Mans – were as cheerful as their surroundings, so this proved a happy destination for me, for both breakfast and for Sunday brunch. The former brought pots of good filter coffee, Corn Flakes, dishes of melon and fruit salad and an onion omelette, cooked to order. (Allow around £25.) The latter, for £39, began with a glass of champagne and could have continued, had I wished, with unlimited supplies of Bloody Mary – but, for once, I resisted temptation. From the buffet table I composed a first course of beetroot salad with goats’ cheese, mushrooms, sweet peppers, courgettes and asparagus, with crunchy bread spread thickly with salted butter. Then it was to the carvery for roasted lamb, full of taste and exactly what I like for the main course of Sunday lunch. The tiramisù looked wonderful, but I contented myself with home made vanilla ice cream for my pudding. I should stress that the quality and appearance of all the food I tried at the Café impressed me no end. 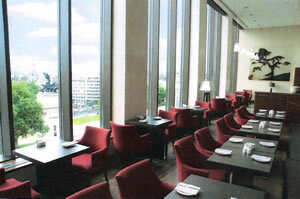 All those who stay in suites at the hotel are entitled to entry of the Club Lounge on the 7th floor (pictured), which provides complimentary food and drink at different times of the day. I thought I would try it for the afternoon ritual. I settled myself on a sofa of brown leather and Thomas, a young fellow from Sydney, brought me a pot of iced breakfast tea. I helped myself to dainty sandwiches of ham salad, smoked salmon, egg and cucumber, scones with strawberry jam and tiny pastries, including a super raspberry tartlet. Again, the standards were high. But what of the Italian restaurant? This is the gastronomic gem of the hotel. You will see it on your right as you come through the main entrance: Theo Randall at The InterContinental. Mr Randall (pictured) is a chef of real and acknowledged talent. 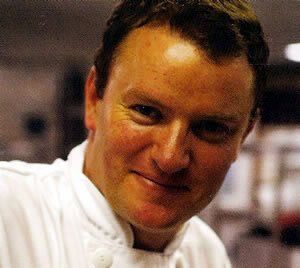 He was previously the head chef of the lauded River Café in Hammersmith. Now he has come to the heart of London, and the heart of London should be grateful, for this charming and unassuming fellow cooks Italian food of the sort we dream about when we pack out bags for the Beautiful Land. But here there is no disappointment. There are no soggy vegetables. There is no ‘Oh well, the pasta course was OK…’ Here everything is wonderfully, gloriously good. This is Italian food as Italian food should be. Top quality ingredients are cooked simply, with precision and skill, and presented so that the eye is as delighted as the palate. I have no doubt that the stars and the accolades are on their way. The room, apart from the horrible canned music (will this disappear? I do hope so), is comfortable and relaxing. 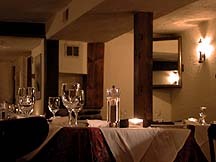 The lighting is discreet, with spotlights shining onto white tablecloths. Waitresses wear ties and white aprons. Glassware is by Riedel (the Restaurant range). Simon King, from West Sussex, is the Restaurant Manager. His kindness and efficiency extended to finding two cushions to enable my ailing back to forget its problems for the evening. Thank you, Mr King. Sommelier Alvaro Marcos Garcia also deserves my thanks, for he introduced me to a magnificent cabernet from Tasmania, previously unknown to me. The Domaine A, 1998 (£80), oozed over-ripe blackcurrants, gave off complex secondary aromas and yielded a magnificent residual sweetness – totally captivating. My opening German riesling was totally different. A riesling of the modern style, it was very dry, elegant and floral (Riesling Trocken, Dönnhoff, 2005 - £32). Germany also supplied the pudding wine. With just 9•5% alcohol, this had a fine balance of sweetness and acidity (Pettental Auslese, Baron Heyl Estate, 1989 - £110). Prices on the list range from £18 for a white from the Veneto to £1,250 for the 1982 Cheval Blanc. Most of the 220 offerings are from Italy or France, and they are grouped by their perceived characteristics – ‘crisp and aromatic’ whites etc. I do not care for this arrangement, but I suppose some people find it helpful. There is much of interest here. The following caught my eye: Greco di Tufo, Vesevo, 2005 (£30), Barbaresco, Costa Russi, Gaia, 1998 (£400), Sassicaia, 1998 (£230), 1982 Lynch Bages (£350). My visit to Mr Randall’s dining room confirmed my heretical views about Italian food. And my visit to the InterContinental Park Lane convinced me that this is now a premier destination for those of us who love great hotels and fine restaurants. One Hamilton Place, Park Lane, London W1J 7QY, England. Double rooms from £270. Ask about particular dates.